The three projects this month range from the practical to the whimsical and rather impractical. All of them are fun, naturally! If you're not a subscriber, it's just $36 for a year's worth of projects: 3 per month for 12 months. Sign up here. 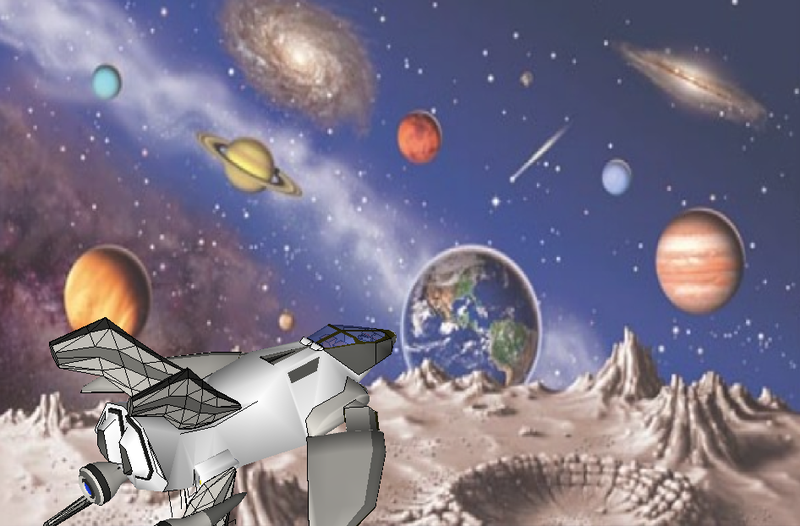 Based on a SketchUp model and animation by math teacher Guzman Tierno, this project shows how to "fake" an animation of a spaceship orbiting a planet, by adding in a background image and setting up a few scenes. A question I hear all the time is "how do I get furniture inside this house?" It's pretty easy when you know how to use section planes. 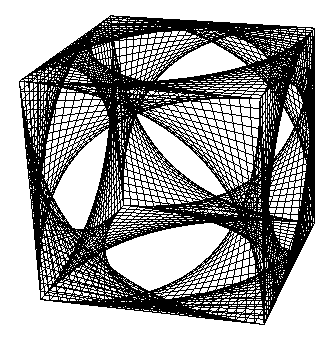 This geometry project looks like 3D string art - one of those projects where you run string between pegs. But it's just a big set of SketchUp edges. Once again, here's where you can get the Projects of the Month. Enjoy! Two posts down I showed what teacher Guzman Tierno did with a rocket model created from a student's drawing. I loved his animation of the rocket "flying" through space, so I use this idea for one of this month's Projects of the Month. Check back in about a week to see the other two projects! Today I'm releasing my updated book on LayOut: Google SketchUp 8 Hands-On: LayOut 3. 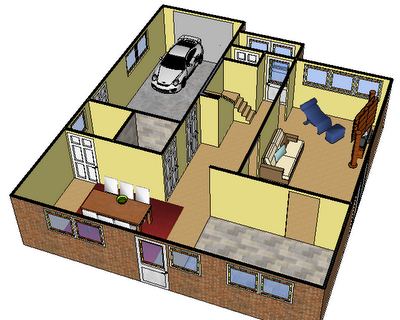 As most of you know, LayOut is a presentation tool included with SketchUp Pro. 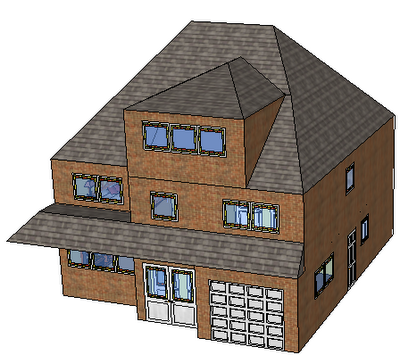 You can insert SketchUp models into LayOut, and use labels, text, dimensions, and all sorts of 2D drawing tools to present all the wonderful features of your model. But LayOut can do much more than that, and this book uncovers all of LayOut's useful features. This new book is available in PDF and color-printed formats. We skipped the black and white version for this book, since color and materials plays a large role in the exercises.